Every year at Dreamforce, Salesforce Chairman and CEO Marc Benioff takes the stage to deliver his keynote. 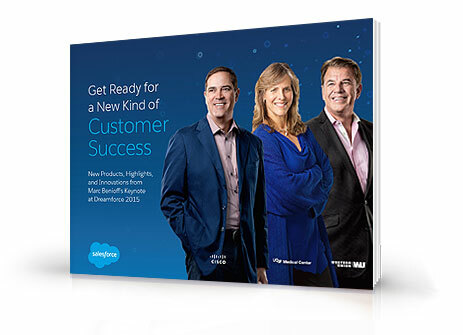 Now we’re bringing that experience to you with this e-book version of Marc’s Dreamforce ’15 Keynote. Are you ready for the next generation of customer success? Get the e-book now!